So keen was Philippe Coutinho to quit Liverpool than he paid part of his own £142 million transfer to Barcelona. The Times says it’s “understood” the Brazilian invested £9 million “out of his own pocket and is committed to paying another £2.5 million in the future”. 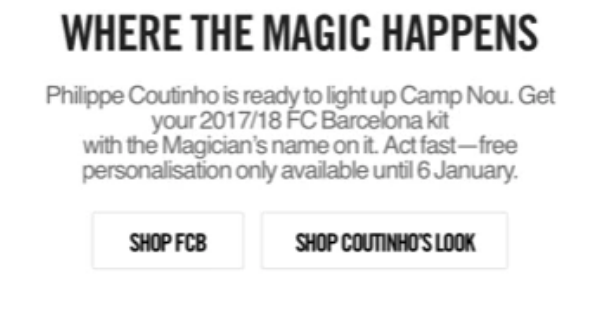 Faced with predators from Nike and Barcelona, Liverpool caved in, waving a not-all-that-fond farewell to the player who now joins another former Anfield star, Luis Suarez, in attack. 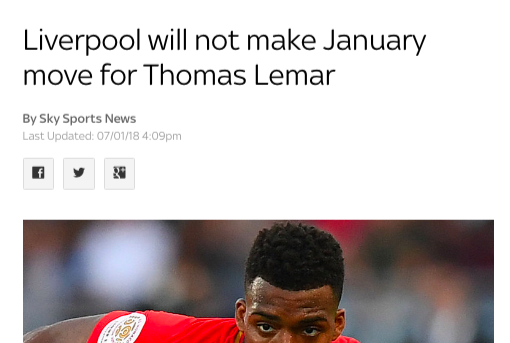 Minds now turn to what Liverpool will do with all that money. Well, £75m has been invested in Virgil van Dijk. And the rest? We, the Times says, “There is no appetite, as it stands, to pursue AS Monaco’s Thomas Lemar or Leicester City’s Riyad Mahrez”. Total balls, then. Who Liverpool sign next is unclear, but one thing is certain: they’ll pay well over the odds.